Soft, delicate and seriously pretty, this light support yoga bra is so comfortable, you may never want to take it off. The strappy, v-shaped back ensures this is the prettiest bra you own. Polyamide is the fabric of choice for seamlessly engineered garments. 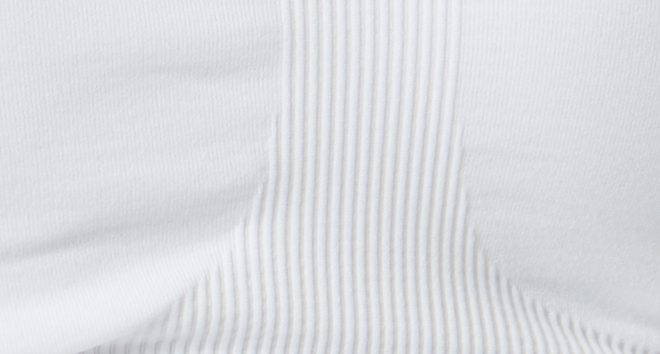 It is a soft yet supportive fabric made from manmade fibres with great sweat wicking properties. Mixed with elastane it has an excellent sculpting, supportive stretch.